It seems like a lot of difficult-to-categorize music falls under the vaporwave banner these days. Unique electronic artist R∞ brings us 000, which is just the sort of music I was referring to. In this work, R∞ is giving us everything and nothing all at once. Tantalizing us with intricately detailed cover art, but using the most minimal, numeric track titles as possible, R∞ is loading the release with expectations, realities, and the mystery in between. 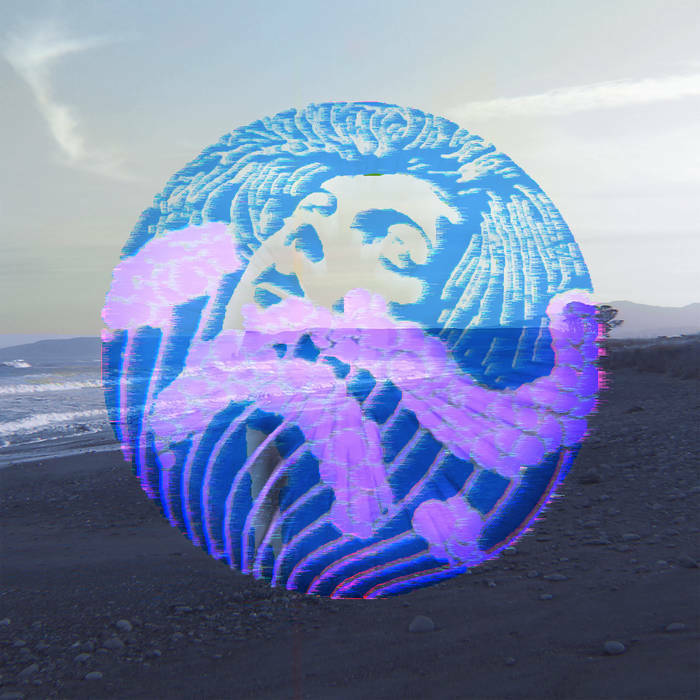 000 is a rhythmic journey through a lush, untamed world with hypnotic synth loops, ambient fills, and perhaps an occasional referential audio sample. All of these things blend together to create a cocktail of heady, psychotropic entertainment, both compelling and peaceful, like lucid dream. What’s it all about? I have no idea. I’m not sure I care. Each movement of the work brings a new interest, while maintaining focus with repeated sounds and motifs that punctuate the forward motion of the experience. Churning with natural sounds, swirling lines of electronica, and overgrown with mystique, 000 delivers a satisfying ride through the tangled, shadowy jungles of imagination - full of enigmatic ancient ruins and untold dangers. Longform electronic explorations of untold universes that exist beyond our feeble perceptions find a home in this patient and vast recording, Expanses. Comprised of six extended tracks that carry the mind of the listener away from earthly patterns and lift toward the myriad of heavens above, this latest release from dark ambient/ experimental drone artist valyri is nothing short of a metaphysical journey to endless non-corporeal realms of astronomical grandeur. Expanses begins with Pseudologue sequv.6, formed from a rapidly cycling synth pattern, imbued with a brightness and wide open freedom that envelopes the listener in spiraling tunnels of light, firing across the kaleidoscope of space at immeasurable speeds. The next movement in this space symphony is Brokensun recognition (phase silhouette,) a heady arrival in a timeless zone of eternity, transported slowly by drifting ambient clouds of glowing energy. Different depths of mood pass across the starry vastness, from euphoric jubilation, to shadowy ruminations, but all energies lead to the central energized core of this epic - a dissolving of place and time. It is the removal of where-ness that truly characterizes this release. From the sweeping and grandiose opening overtures to the detailed sorrows of a thousand drifting, lonely souls in Disappointment Theme, to the haunted piano soliloquy that melts into a buzzing mechanical afterlife in the closing track Music for Dysgnosia, valyri steers the voyage as a skilled traveler, guiding the listener from one existence to another. Stephen Hawking once said, “To confine our attention to terrestrial matters would be to limit the human spirit,” and Expanses illustrates the endless possibilities that await the spirit no longer tethered to the base concerns of earthly life. 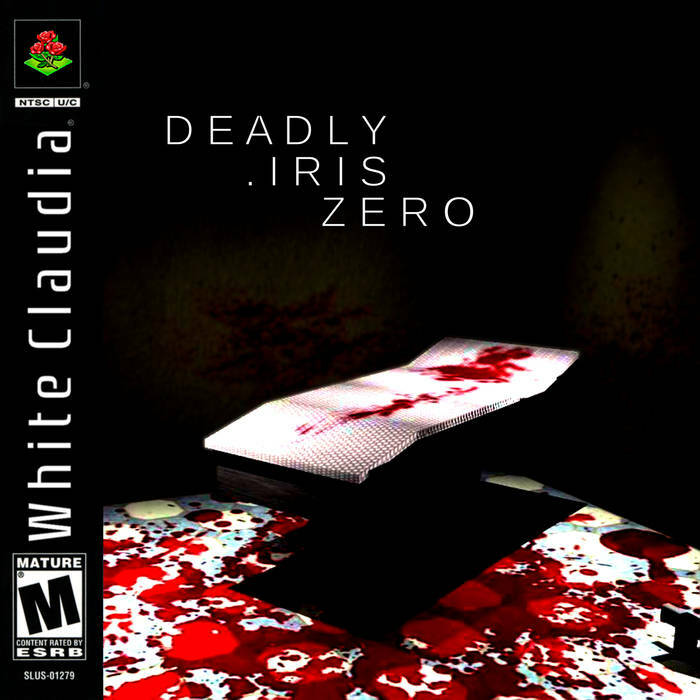 WHITE CLAUDIA - "Deadly .Iris Zero"
Just in time for the most haunted season of the year, White Claudia has released this eerie selection of ghostly tracks, inspired by horror video game soundtracks. Deadly .Iris Zero, which is arranged as a soundtrack, pays homage to the Silent Hill series with sounds of ambient horror inspired by the original music of Akira Yamaoka, painting a picture of an abandoned hospital full of creeping terrors and disfigured monsters. Malevolent atmospheric drones and disturbing noises drench each track with psychological torture and rusted nightmares. While certainly taking its cues from Silent Hill, Deadly .Iris Zero tells its own unique story, creating a twisted tale of fright from the gloomy opening track, Title Screen, to the heart-pounding boss battle of Dr Aleister [Final Form], to the end credits feel of Scorched Iris [End Theme.] By the completion of the album, the listener has been on a harrowing journey through the formidable Iris Memorial Hospital. The only thing left to do is to restart this release on a higher difficulty level - and play it again. JAMIE AWAKSHIDAR - "There is More Beauty in Corruption"
This densely packed dark ambient album personifies its title, showing the deep beauty in damaged, disconnected things. The concept is quite strong, and plays out across the release in a dramatic way. The opening track Skyhack Rising is a transcendent, powerful surge of uplifiting synth tones, a meditative icon of beauty and peace. As soon as the triumphantly titled Sic Transit Gloria Mundi begins, strains of corruption can already be felt. The track is drenched in a self-feeding reverb that washes the track over its brim in waves of chaos. As the album continues, the sounds and moods continue to shift toward shadowy, darker zones. In dramatic contrast to peace, stillness, and calm, as the release nears its core we can sense the radiating undulations of malice and entopy. The audio becomes an overwhelming, swirling malestrom of disfigured audio and crossing frequencies that feels like it's trapped between the walls, in a frenzied focus on complex movements in the dark. It is in these startling moments, that Jamie Awakshidar displays a true artistry, reveling in the mighty power and detail found in the broken, misty passageways between worlds. As far as this release goes, There is More Beauty in Corruption. Experimental electronic artist Andrulian adds another powerful ambient work to his prolific catalog with Irresistible Forces, a dark journey through a shadowy underworld – a dimension that mimics our own, but is forever shrouded in darkness and confusion. The laws of physics do not entirely apply here, and nothing is as it should be. Waves of hazy energy wash overhead as deep tones well up from underfoot. This is an unstable place full of horrors and nightmares. Sounds in the distance may be natural, or may be some hidden danger. There is no way to know. All the while you are searching for a way out – but much like a fish swimming under the ice of a frozen over lake, there may not be a way to cross back over. This purgatory may be your new home. What was that? Some kind of roar? You are not alone here. There are creatures in the dark that hunt you. Retreating further into the shadows, you discover an abandoned science station. The desolate structure is ragged but sturdy. Computers still scan the vast inky blackness of this dimension. It's too bad the science team that was sent here is missing, or dead. Was that a voice? Is this place haunted? Even if you find the answer, you won't be able to tell anyone. You are up against Irresistible Forces. 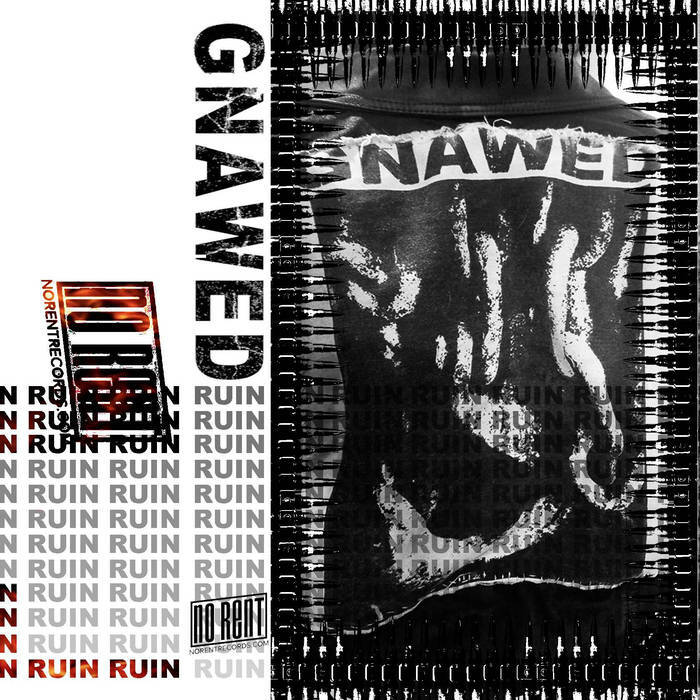 Ruin is the soundtrack for the day after the end of the world. No one remains. This is the sound of empty cities filled with only echoes, vacant streets occupied by only shadows, and a creeping desolation that no one can feel. Welcome to the Ruin. Industrial ambient artist Gnawed creates vast soundscapes that expertly layer stacked field recording with precise application of original electronic wizardry. This masterwork of loneliness and regret, comprised of two sidelong tracks, clocks in at just under an hour, and is a powerful piece to take in. Listen to this monstrosity and ponder the poor decisions that finally brought mankind to its end in this doomsday scenario. Buildings are leveled, smoke darkens the sky, no birds sing, nor crickets crick. This is the end, my friend. Grab it on cassette or digital at No Rent. FICTIONAL GIRLFRIEND - "Perfume Garden"
A good bit of the vaporwave genre tries to capture a hyper-technological retro future filled with neon-lit Tokyo alleyways and Greek statues listening to boomboxes with anime schoolgirls, but Fictional Girlfriend has something else in mind entirely - a dark, brooding dronefest in the confined service corridors of an oppressive, rusted factory. There are certainly strong vaporwave tendencies here, such as in the intro to the opening track Double Ought Gardens, but for a larger part of the release, the focus is on well-constructed ambient drone pieces that invoke a close, anxious, boiler-room-at-night kind of feeling. Phobes Breath would be a perfect example of this. It is a brilliantly dark piece that conjures flickering ghosts in shadowy corners.